Welcome to my website, martiangrandpa.com. Now you have heard the name you will remember it for the rest of your life. It’s a fantastic name for a rock group. The third reason is the most significant and will be revealed in Chapter #13. My name is Mike Wetherley, and I am a retired professional geologist with an extensive interest in science. Like most modern scientists I was trained as a specialist, but I have become a generalist by choice. Some may suppose that a generalist is just not smart enough to be a specialist, but countless changes in science have been brought about by people outside of a particular field. Some branches of science seem almost designed to resist change, and astronomy is a good example. There are only a few large telescopes and there is intense competition to obtain time on them. There are also only a few relevant journals to carry scientific papers, so under the ‘publish or perish’ protocol of modern science the career of anyone perceived not to be a ‘team player’ can be tenuous. Those who exert the most influence over astronomy are the very ones with the most to lose if their published conjectures should be overturned. It is my view that astronomy, and cosmology, are ripe for a revolution. 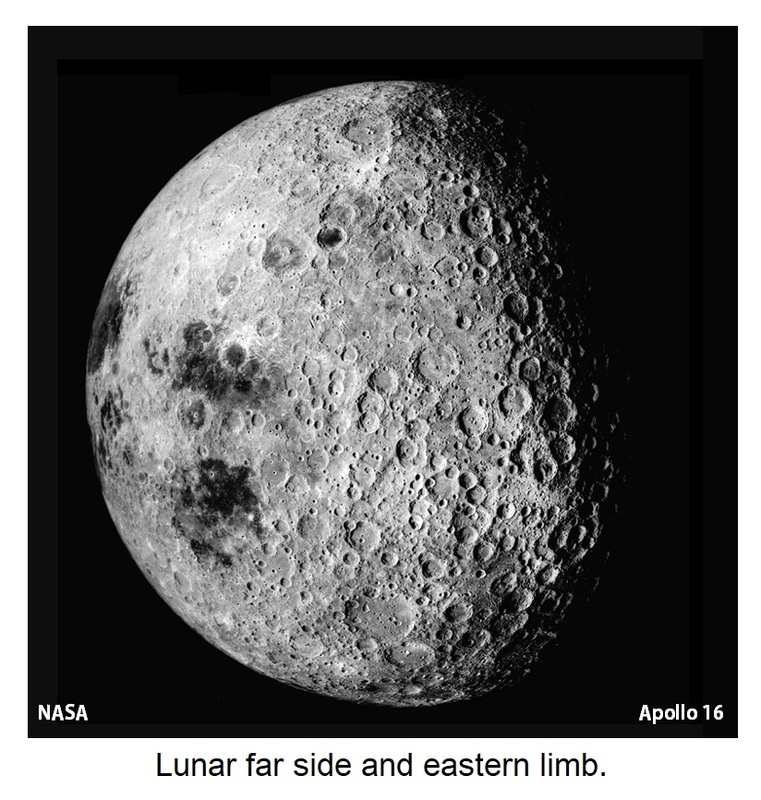 This will be brought about by someone from outside the field, one who isn’t seeking time on a large telescope, and who couldn’t care less whether they are regarded favorably by the editors of some astronomy journal. Charles Lyell promoted the concept of ‘uniformitarianism’ (increasingly written as ‘uniformism’ by modern writers) in his book ‘Principles of Geology’; Volume 1 was published in 1830. In Lyell’s time catastrophism was advanced by religious fundamentalists who supported the Flood Story in the Book of Genesis. Uniformism was Lyell’s answer to them, but it is interesting that it was catastrophists who based their position on actual field work, while uniformists did not. Many of my interpretations are original, and where I borrowed from others I have given credit wherever I could. Of the individuals who have influenced me, I afford the greatest tribute to Allan O. Kelly (1901-2001), an outstanding amateur geologist from Carlsbad, California who wrote several books on ‘Impact Geology’, and to the incomparable Immanuel Velikovsky (1895-1979), a widely-published Russian-Jewish scholar of ancient history. Even mention of Velikovsky’s name continues to raise hackles in some scientific quarters. In particular, he attracted the wrath of astronomers with his claim that the planet Venus came out of Jupiter as a comet, before changing into a planet, and I have to side with the astronomers on this one. Some of Velikovsky’s historical references however, have proven invaluable to me. Perhaps his greatest potential contribution to science was to remind us all of the wealth of information contained in ancient accounts, but which many modern scientists dismiss out of hand. Catastrophism must be revisited. I will be posting a chapter on science each week over the next half year that could change the way in which you will view our Planet, our Solar System, and the Universe. A lesson from this will be: Uniformism is what takes place between catastrophes. Readers are encouraged to employ written material from this site for educational or any other non-commercial purposes. Attribution is always appreciated, and I encourage you to tell your friends about Martian Grandpa. I hope you will derive enjoyment and learn from it, as I believe science belongs to all of us. Most of the topics discussed will be from geology, astronomy and cosmology. Even if those topics haven’t interested you much in the past I invite you to check in each week as you could become an enthusiastic regular. My site draws upon more than half a century of personal experience and analysis. Abundant additional information exists for future discussion should there be sufficient interest. 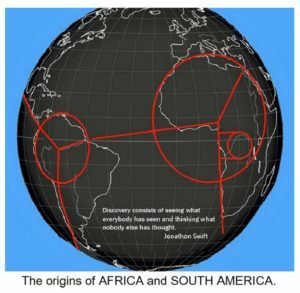 South America was never attached to Africa. 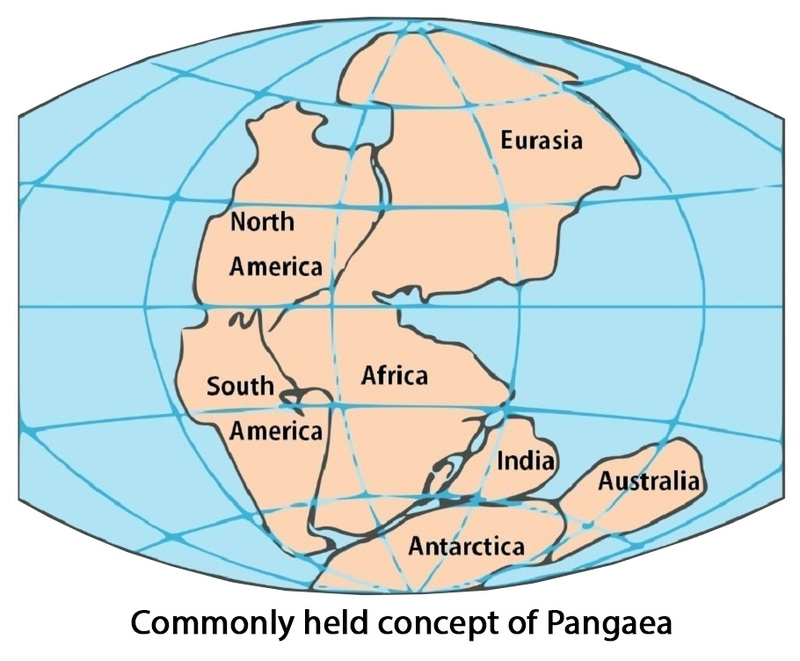 The principle of Plate Tectonics is regarded as the greatest success story of modern geology and almost everyone has seen depictions of the supercontinent, Pangaea. We are assured by scientists that positions of the continents have been “accurately determined” back to the Jurassic Period, which ended some 145 million years ago. Some claims go back as far as 200 million years. 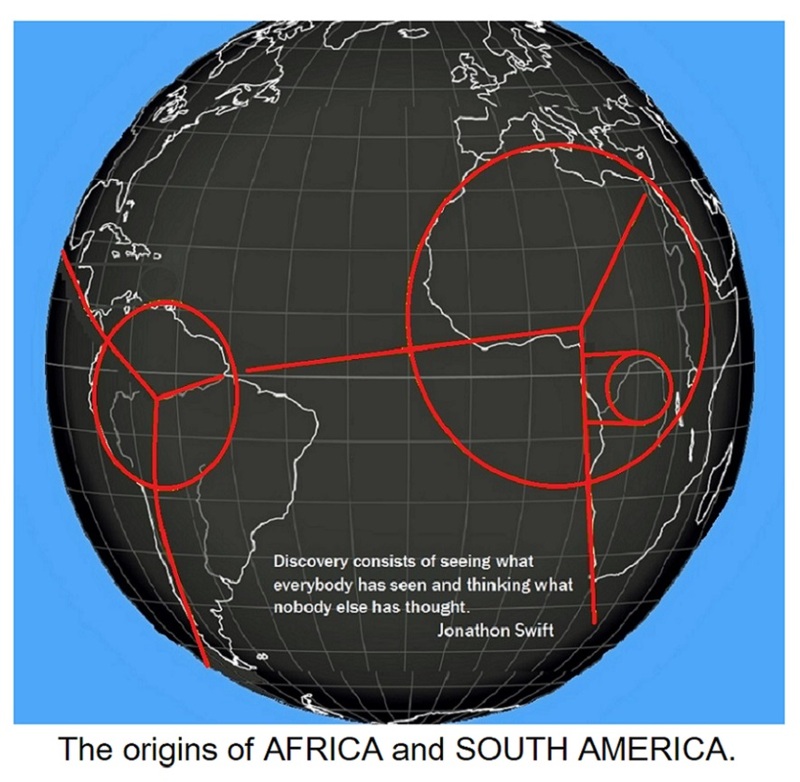 Invariably, proof includes South America attached to Africa like a Siamese twin. This never happened. Africa occupies a major part of one of the most prominent impact sites in the Solar System. An impact site this size represents a catastrophe on such a scale that most advanced life on Earth would have been destroyed. 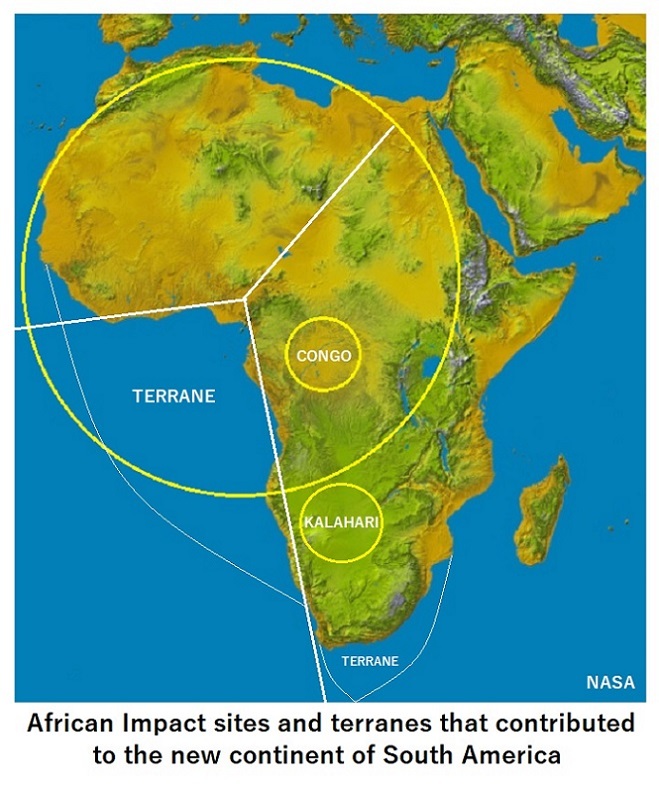 The African asteroid impact was one of the most significant events in the geological and biological history of our planet and was, I propose, the one that brought the Permian Period to a close. Estimates of the number of species destroyed at the end of the Permian Period range up to 96%. The resulting oceanic floods would have scoured even the peaks of mountains, followed by a collapse of the food chain due to massive volcanism. A tremendous outpouring of basalt known as the Siberian Traps began then on the far side of the world. I have posited that the Siberian flood event was the direct outcome of the huge African impact. In a similar way, I will connect the second most recent impact to move the poles of the Earth, the Hudson Bay impact of 74,000 years ago, with the eruption of Mt. Toba in Indonesia, 180 degrees of longitude away. This connection will be explored in Chapter 6. Centered on the delta of the Niger River on the Gulf of Guinea, Africa is attached to the mantle by the convection cell from an impact that is almost 7 thousand km (4,300 mi) across. The resulting lava pool could have exceeded 7% of the surface of the Earth, which must have rolled over several times after the asteroid impact. It also must have influenced the climate of the entire planet. From the spine of East Africa to the Atlas Mountains, the geological statistics are impressive. Mountain ranges such as Tibesti in northern Chad have heights to 3,445 m (11,300 ft.), while mountains close to the margin of the continent tower even higher. 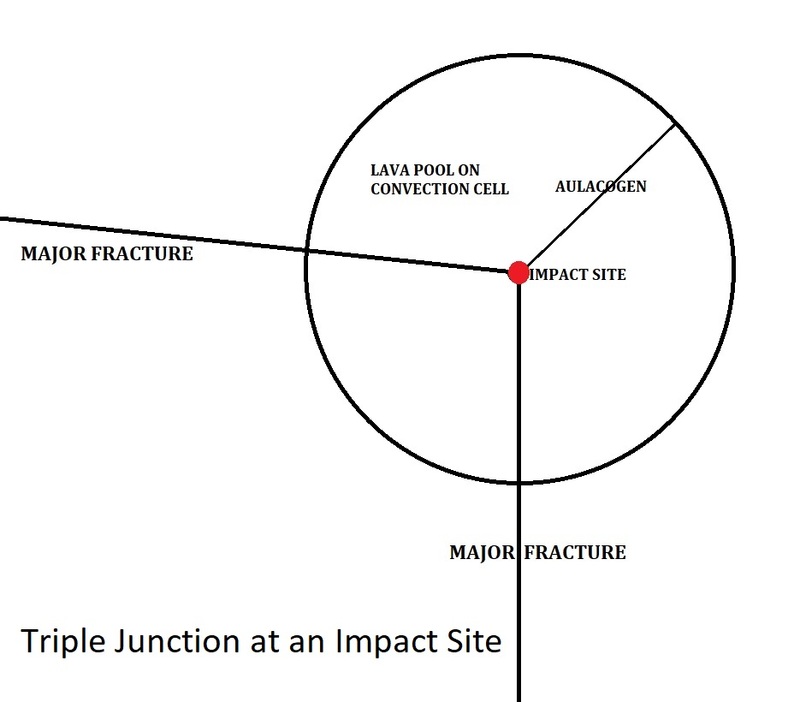 Three radial fractures extend outward from the point of impact, reflecting the typical distribution of forces from a major impact over Earth’s spherical surface. Subsequent separation along two of them was to influence the present shape of the west coast of Africa. The third fracture, trending in the direction of Egypt, is indicated at the surface by Lake Chad and by a lowland area in eastern Chad known as the Bodéle Depression. The concept of the triple junction, with one ‘failed’ arm, is familiar enough to geologists that they have a term for this arm, which they call an ‘aulacogen’ (derived from the Greek aulax, meaning furrow). There is maximum propagation along two of the fractures, while the third fracture (the ‘failed’ arm) does not extend beyond the boundary of the lava pool resulting from the impact. 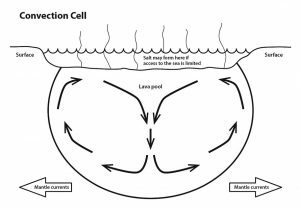 Triple junctions have been attributed to mantle plumes as their association with impacts has gone unrecognized. The second, much smaller asteroid impact took place within the boundary of the former lava pool from the first asteroid impact. It activated the two major fractures of the triple junction by a surge of currents in the mantle, which caused about 20% of the African impact site to drift slightly away from the rest of the continent, exposing a hot lava surface. Access to the sea was restricted, so that sea water pouring onto the exposed hot mantle rock evaporated quickly. Boiling water became super-saturated with salt which settled out as a bed of pure, coarsely crystalline sodium chloride. The Congo Basin impact resulted in spreading along the north-south and east-west lineaments so the land mass that was destined to form a significant part of South America had already separated slightly from the rest of Africa before another major impact occurred. In his textbook ‘The New Geology’, George McCready Price wrote that Lake Tanganyika contains jellyfish, marine gastropods and other marine organisms …“ that bear a closer resemblance to Jurassic forms known from fossils than to more modern forms”. The elevated spine of Africa could have provided a haven against the destructions of subsequent oceanic floods. African life forms, including our own species, would have been its beneficiaries, for it cannot be by chance alone that the African veldt has retained such a profusion of large species, especially large mammals, most of which have gone extinct elsewhere. The next step involved a major asteroid impact out in the ocean, more than 8,000 km (5,000 mi) from the site of the African asteroid impact, and which may have brought the Jurassic Period to a close approximately 145 million years ago. This impact formed the Amazon Basin and resulted in another triple junction. One major lineament controlled the Mid America Subduction Zone, which allows lithosphere produced at the East Pacific Rise to plunge eastward beneath Central America. The second resulted in the Andes Mountains, where a double line of volcanos developed as a result of subduction, first toward the west and then toward the east, along the same lineament. The reversal in direction was caused by the major Indonesian asteroid impact across the Pacific. The aulacogen of the triple junction controls the route taken by the Amazon River. 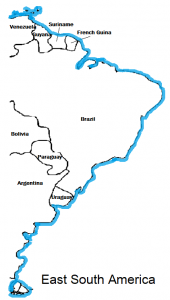 An interesting exercise (at least, for map nerds) is to lay a straight edge over a large scale map of the Amazon River and note that, although visually overwhelmed by meanders, occasional short stretches of river fall along the same straight line. The Amazon impact also affected the African terrane that had been defined by the two main lineaments of the African impact. A terrane is an island that moves across a stretch of water, often an ocean, to be added to another land mass. Mantle currents carried this terrane across the Atlantic to come to rest against the Amazon Basin. The new continent of South America would contain diamonds from Africa. This terrane and a smaller one which separated from southern Africa constitute the only pre-existing crust within all of South America. 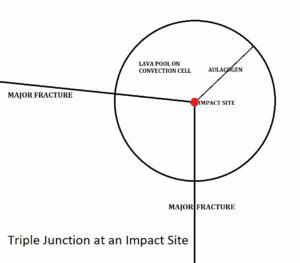 The similar orientation of the African and Amazon triple junctions is so striking because the first impact influenced the effects of the second. The east-west lineament from Africa to South America extends toward the Amazon Basin, where the Amazon aulacogen continues the trend. The Amazon impact hit close to an extension of a major fracture from the African impact, and the small difference is taken up by ‘en-echelon’ (parallel and offset) faults of the Romanche Fracture Zone which traverses the narrowest part of the Atlantic Ocean. Africa previously had a more circular form and the terrane areas in the image illustrate the parts of Africa that were to contribute to the new continent. 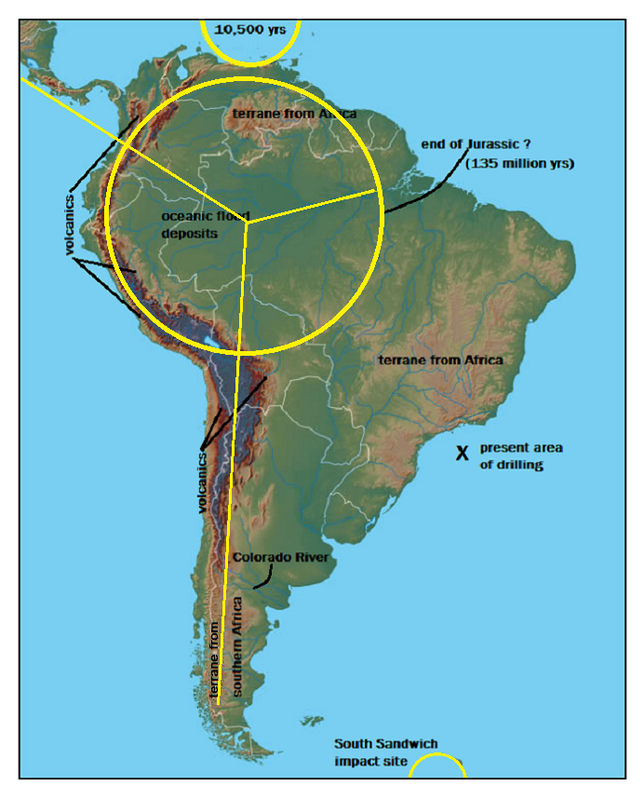 The larger terrane would constitute South America’s Eastern Shield, oceanic flood deposits would fill in the Amazon Basin, and the Andes Mountains would be formed by volcanos along two parallel subduction zones. There is an excellent fit to the coasts of Africa and South America because the ground there was once contiguous, but the larger story has been missed. 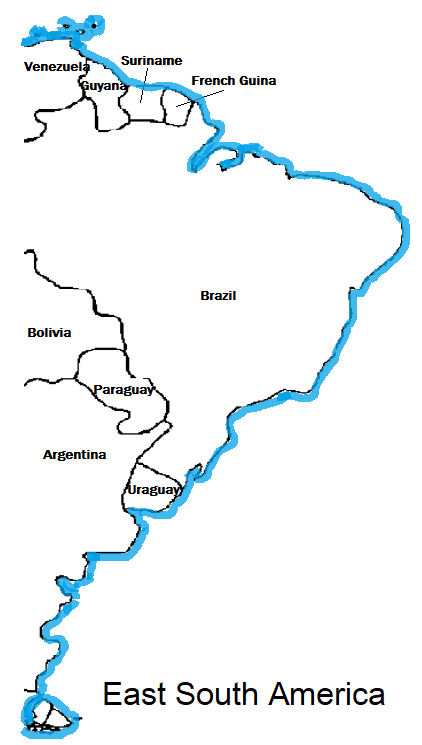 The eastern Andes chain is best developed around Bolivia, where the major north-south fault departs the convection cell. Oceanic crust has been subducted at a faster rate where two mountain chains are separated by the Altiplano, which includes Lake Titicaca. The region has been elevated thousands of meters within the memory of humankind, and flood-eroded geological features called ‘yardangs’ (elongate landforms that resemble the overturned hull of a boat, and have always been attributed to the wind), persist at high elevations. The smaller terrane, which separated from southern Africa, separated along the curved outline of an impact site around the Kalahari Desert. Now constituting the southern-most part of South America, its present curve to the southeast is due to the subduction zone of the South Sandwich Islands impact site in the South Atlantic Ocean. This terrane constitutes all of South America south of the Colorado River around 370 south-latitude. At the South Sandwich Islands, oceanic crust from the Mid Atlantic Ridge is subducted along the site’s east limb, while continuing to sweep past to the north and south. The trace of the major north-south lineament from the African impact continues to be prominent on the surface of the Earth, for it now defines the southern part of the Mid Atlantic Ridge, having been shifted more than 2,500 km (1,550 mi) west from Africa. 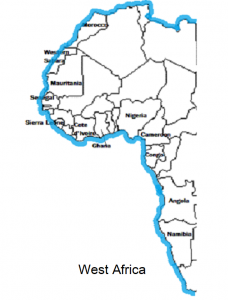 It began its journey as the African terrane departed for South America. On one side of the South Atlantic Ocean, salt deposits occur from Angola to Nigeria, continuing west past Sierra Leone. Across the ocean, salt deposits occur off the coast of Brazil. These occurrences should be roughly equivalent if the salt was shared by both continents. 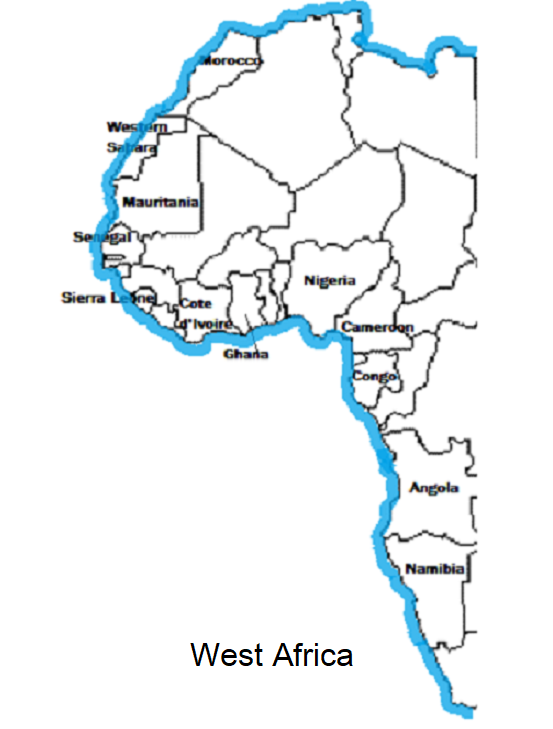 Since salt deposits occur past Sierra Leone to Senegal, then we might look for salt to occur off the coast of South America as far north as Surinam. The salt deposits, now an ocean apart, formed in Africa following the Congo Basin impact. Under the weight of overlying rock, salt acts as a viscous fluid and is deformed into salt domes penetrating overlying sediments. Salt domes constitute some of the world’s most productive petroleum traps. 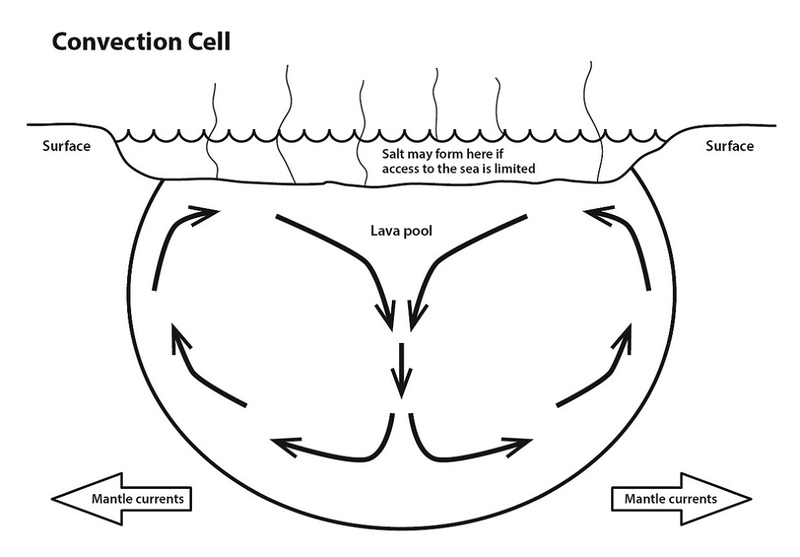 Typically, sediments are pushed up by the salt as it penetrates overlying layers, forming traps that are sometimes stacked at multiple depths. Massive salt deposits are common worldwide, having formed wherever restricted access of seawater to a lava pool at an impact site has occurred. A splendid example is the Gulf of St. Lawrence asteroid impact site in eastern Canada, which must have involved prolonged, restricted entry of seawater. When Shell Oil Company drilled four exploratory oil wells on Prince Edward Island in the 1940’s, all bottomed in salt. The company persisted with the last well before finally abandoning it after drilling vertically through three kilometers (1.9 miles) of coarsely crystalline salt. 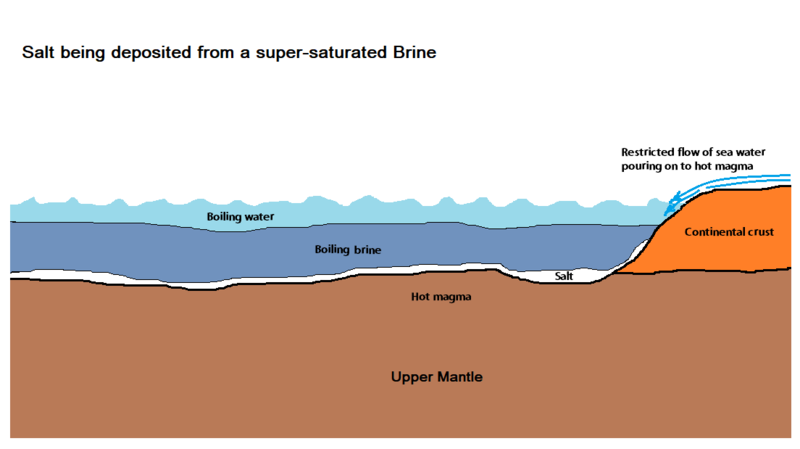 One might wonder why Prince Edward Island hasn’t sunk into the salt, but the specific gravity of solid crystalline salt actually exceeds that of quartzose sediments. Just as South America was never joined to Africa, what some call “Euramerica” never existed either. 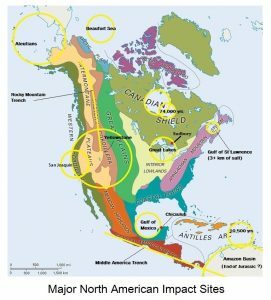 The continent of North America may have begun with an impact that was far removed from Africa, centered about Yellowstone. The Rocky Mountain-Tintina Trench would be one of the two major lineaments from that event. This could have caused a slight separation of the future Appalachia from the Atlas Mountains of Morocco. Salt was then deposited in the narrow gulf between Appalachia and the African mainland, just as it would be later along the east coast of Africa. A major impact ultimately resulting in the Great Lakes may have been the one to attract the Appalachian terrane across the Atlantic, to join the developing continent of North America. 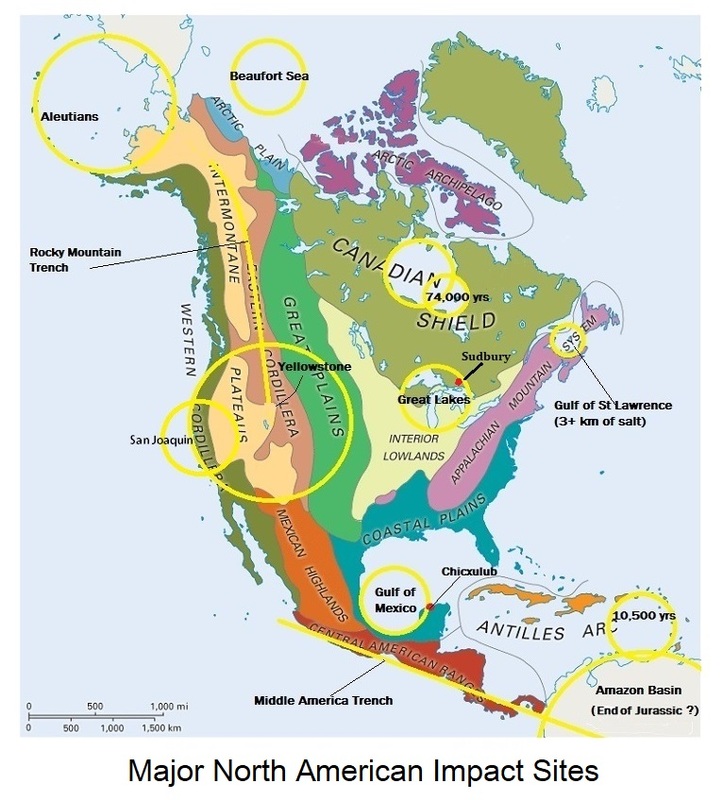 North America would be formed essentially, from a mountain range along either coast, with oceanic flood deposits filling the space in between. Later, terranes from across the Pacific following the Indonesian impact would be added to the west coast. Separation along the mid-Atlantic Ridge is pushing North America westward, but this movement is being taken up almost entirely by thrust faulting along the eastern edge of the Rocky Mountains. There, stacked layers of sediments that geologists term ‘decollements’, slide over one another to overlie the western part of the Great Plains. They have produced the Overthrust Belt, which hosts many highly productive gas and oil discoveries. Just as three impacts provided the beginnings of South America, two impacts may have provided the beginnings of North America. Africa contributed to both continents, but the part it contributed to South America consisted only of the terrane that filled-in the east coast, while the part it contributed to North America consisted only of the Appalachian Range. 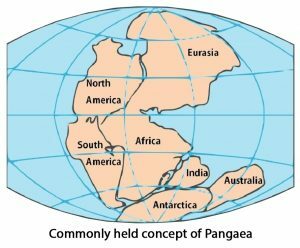 This puts the whole concept of Pangaea in a rather different perspective, as neither continent was ever attached to Africa. Instead, in each case, a terrane from Africa moved across an ocean. Since the line of separation away from Morocco parallels the Appalachian Mountain chain, it has led to claims that oceans can open up and close again, on a cyclical basis. 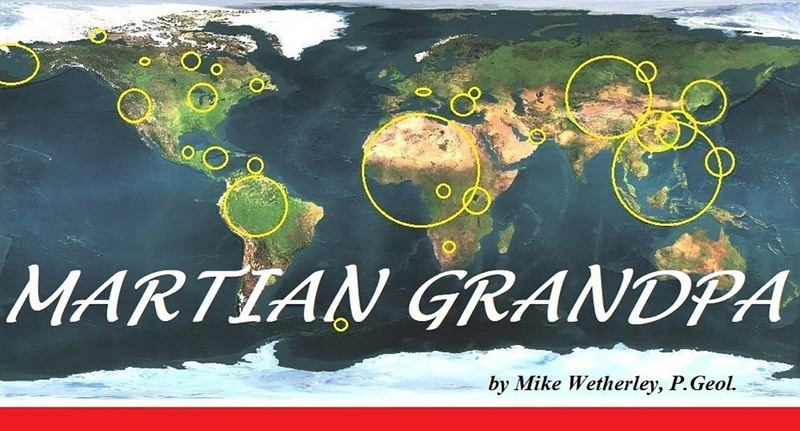 What the evidence actually reveals is that when continents break apart they simply do so along a zone of weakness. This can be a deep lineament or a major geological contact. When North America began to form there was no Caribbean Sea, or Great Lakes, or Hudson Bay, and to the north there was no Arctic Archipelago. Many impacts were to follow, as the continents we recognize today took shape. We live on Earth in a tiny slice of time, and far in the future, we would not recognize our planet at all. Eras and periods of the Geological Time Scale are separated by major asteroid impacts and resultant oceanic floods. A problem with having this claim accepted may lay in common doubts that there could have possibly been so many major impacts, which may be because few large asteroids have been observed in near-Earth orbits. But then, most scientists have failed to recognize large impact sites on Earth in any case. What we see, to a degree, is that Africa was Pangaea, and now the process of its breakup can be better understood. Furthermore, it is apparent that separation of a terrane in a single step may even be uncommon. After crust is removed, if a restricted flow of seawater has access to the exposed hot surface, thick crystalline deposits of pure salt form. But another factor is at play. The ends of a terrane being torn out of a continent tend to hold back, as if reluctant to let go of the motherland. This restricts the inflow of seawater onto the hot lava surface. 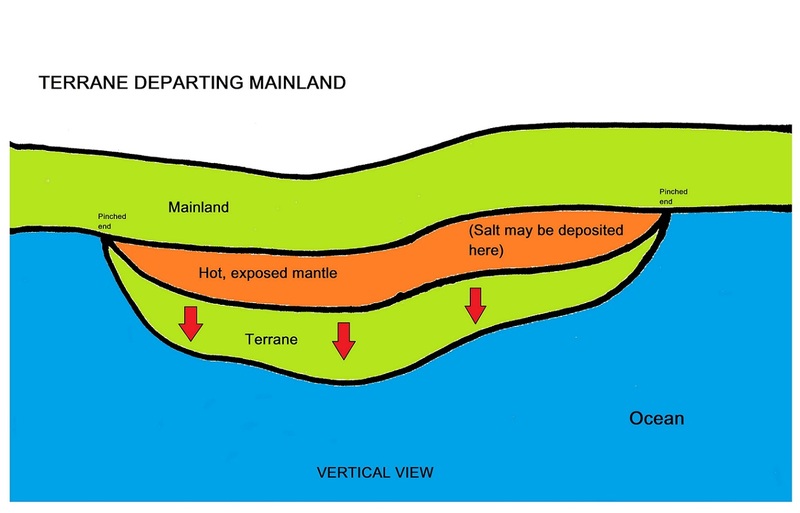 Where complete separation of the terrane does not immediately take place, later erosion of the dam will result in a geological waterfall, but by then the lava surface may be too cool for salt to be produced. Furthermore, if flooding by the sea is too rapid, just as in the open ocean, salt deposits cannot form. 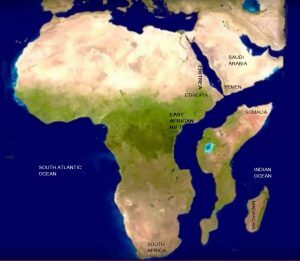 To continue with the concept that Africa was Pangaea, a ‘Ufomania’ video on ‘YouTube’ includes this image of a predicted future step in the destruction of Africa. It is based on volcanism at Erta Vale in Ethiopia, close to the Eritrean border where the East African Rift ends at the Red Sea. If this should take place, Africa will have contributed another significant terrane, which might ultimately become part of another continent. The 1,200 km (750 mi) diameter impact site that resulted in the Beaufort Sea, following the separation of Greenland from Scandinavia, may have occurred as recently as the end of the Tertiary period (some 2 million years ago). A major result of the impact was the creation in the Canadian Arctic of one of the most complex archipelagos on Earth. Seeking more information about the age of its formation, I inquired at the Geological Survey of Canada in Calgary, as to when the islands of the Canadian high Arctic had begun to move apart. I was assured that the islands had never moved and that the spaces between them are the result of glaciation of a river system. Somehow, I was not surprised. Scientists tell us that Earth experienced many large impacts billions of years ago. This is probably true, although no clear evidence of them now exists. They also tell us that there have been no large impacts since then, although clear evidence of them is abundant. The scientists have been unable to accommodate the evidence within their cult of uniformism, but this shouldn’t present a difficulty to them as there are impact sites ‘hiding in plain sight’ all over planet Earth. I n a later chapter entitled ‘The Chocolate Box’, I will present a framework within which science is evaluated in an original way. It compares ‘Real Science’ in which hypothesise are evaluated directly against reality, against ‘Fantasy Science’ which is based largely upon conjecture. The least temperate response to criticism has always come from the proponents of Fantasy Science. 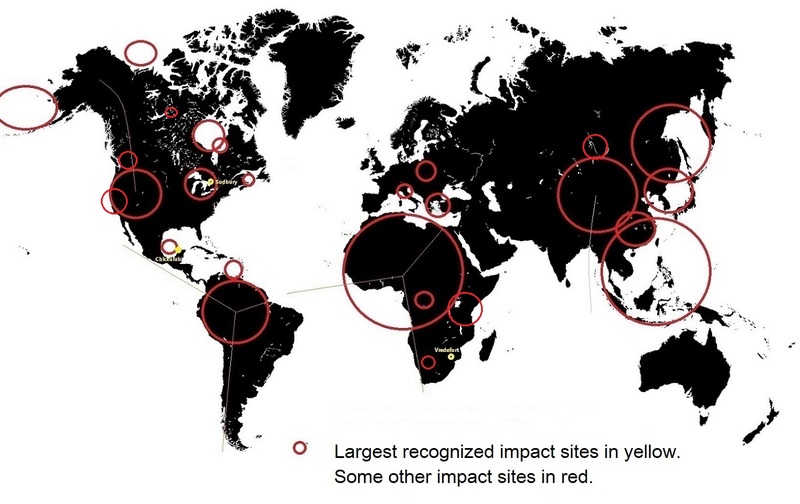 The accompanying world map omits most of the Polar Regions and identifies only some of the largest impact sites elsewhere, yet still manages to suggest the degree to which Earth has been impacted by large asteroids. There must be major sites from the Palaeozoic Era in particular, which can no longer be easily recognized. Scientists assure us that if there had been recent major impacts, they would have left evidence, and I have to agree with them. Now, all they have to do is learn to recognize the evidence. If all impact sites, even since the end of Precambrian time could be shown on a map of Earth it would look like the surface of the Moon. Several conclusions can be taken from this. The impact of major asteroids provides the energy required for plate tectonics to take place, and oceanic floods resulting from axis changes constitute the most common catastrophes on Earth. They separate the divisions of geological time, and they have repeatedly turned over a new leaf in the book of evolution here on Earth. Catastrophism establishes our history. 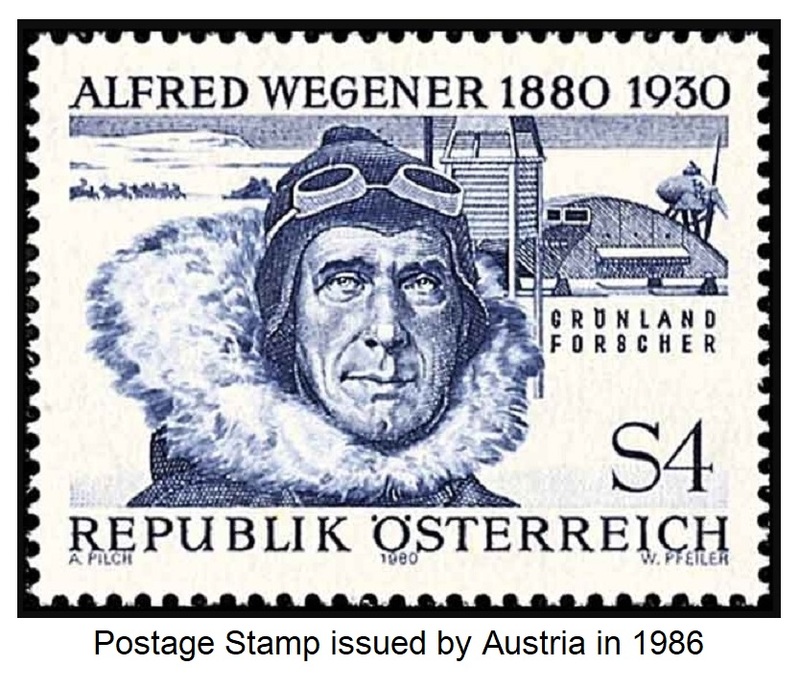 Dr. Alfred Wegener (1880 – 1930) was a German geophysicist and meteorologist best remembered today for his theory that some distant lands were once joined and had drifted apart. His claims were somewhat exaggerated since the manner in which coastlines can be fitted together led him to suppose that entire continents had drifted apart. His recognition that land movement had taken place on a grand scale, however, was correct. Even the largest terranes such as India can move with considerable speed, while continents attached by large impact sites move hardly at all. Part of the difficulty Wegener encountered with the scientific establishment was due to a lack of supporting evidence. Another was that he had dared to venture across the boundaries of several disciplines, which left him vulnerable to charges that he was just an amateur, and so should not be taken seriously. Members of the ‘Old Boys Network’ recognized that he presented a threat to them and were not about to yield ground willingly. 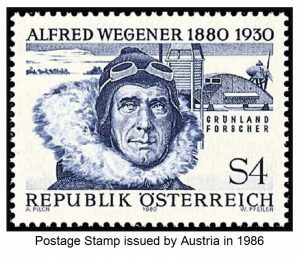 They were able to stifle scientific discussion of Wegener’s ideas until another half-century had passed, whereupon many of his ideas became accepted. Once again, it was demonstrated that science progresses one funeral at a time.